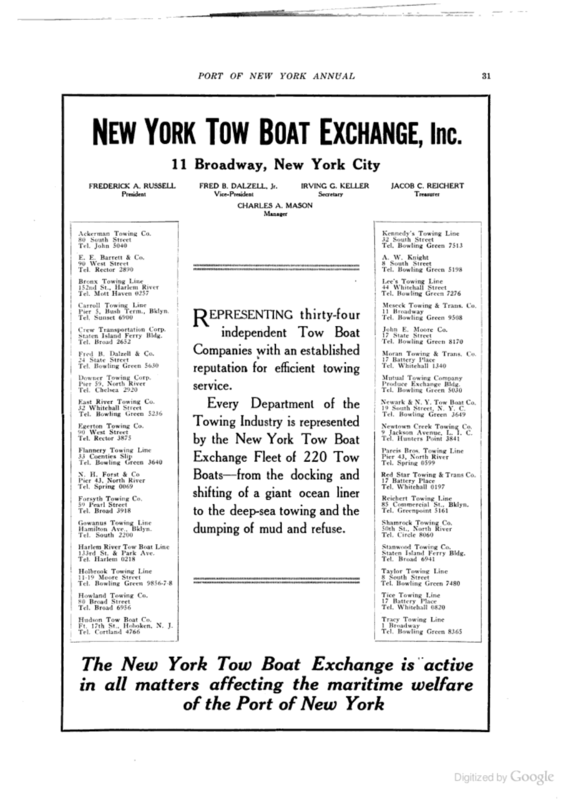 In 1920, the New York Tow Boat Exchange represented 34 independent tow boat companies. In their advertisement in the Port of New York Annual, the Exchange boasted that their fleet of 200 boats could handle anything "from the docking and shifting of a giant ocean liner to the deep-sea towing and the dumping of mud and refuse." While it is very likely that all of the 34 companies listed in the ad worked in Red Hook, two were known to be based there: Gowanus Towing Line and Red Star Towing (a subsidiary of Bushey). "New York Tow Boat Exchange, inc. Representing thrity-four independent Tow Boat Companies with an established reputation for efficient towing service. 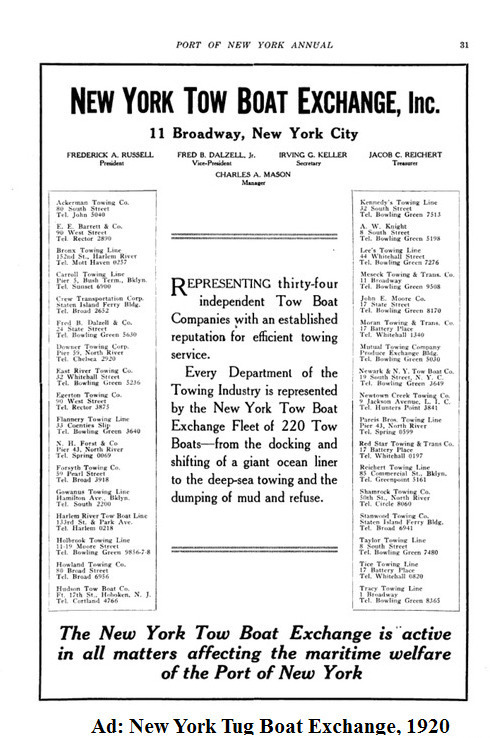 Every department of the Towing Industry is represented by the New York Tow Boat Exchange Fleet of 220 Tow Boats - from the docking and shifting of a giant ocean liner to the deep-sea towing and the dumping of mud and refuse"
"The New York Tow Boat Exchange is active in all matters affecting the maritime welfare of the Port of New York"